You are going to Watch One Piece Episode 399 English dubbed online free episodes with HQ / high quality. Stream Anime One Piece Episode 399 Online English dub Break Through the Siege! The Navy vs. the Three Captains. 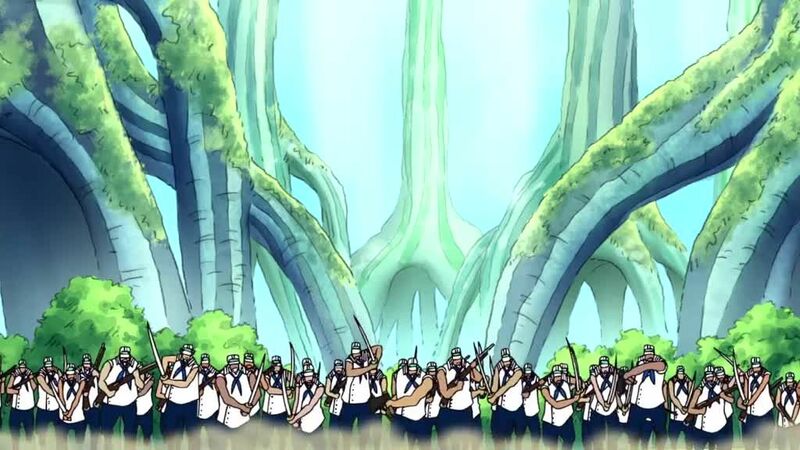 Luffy, Law and Kid’s crews join the fight, defeat the rest of the Navy outside the auction house, promising to meet and fight in the New World. Luffy’s crew escapes with the help of the Rosy Life Riders. A mysterious figure that appears to be Kuma intercepts Kid and Law, then begins attacking them with lasers.